Learn more about how helicopters can benefit your agricultural operation in New Hampshire. FairLifts arranges aerial applications in New Hampshire for agricultural crop dusting, mosquito and pest control, and weed and brush control. A global network of operators provides precise and comprehensive coverage for quality results with minimal environmental impact. 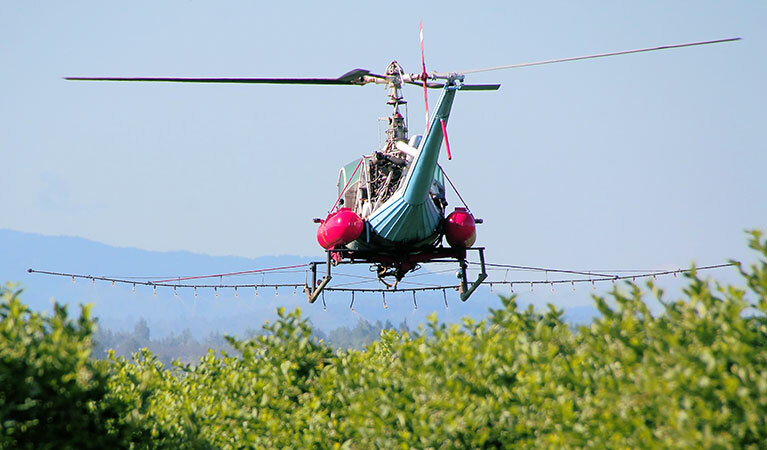 An affordable alternative to ground treatments, helicopter aerial applications ensure superior yields, better crop quality, and larger revenues. Aerial applications allow growers and farmers to access remote and rugged terrains for crop surveys, line inspections or frost prevention. Helicopters for aerial applications are transported by truck directly to farm sites and treatment chemicals are mixed and loaded directly on the truck platforms, minimizing fuel costs. In New Hampshire, aerial applications use smaller aircraft with larger load capacities like the R44 and Bell 47, which feature built-in DGPS to provide precise applications. FairLifts designs skilled and defined aerial applications with farmers and growers for first-rate results. New Hampshire agriculture holds several top-ranking positions in the US. The state ranks first for direct and organic sales as a percentage of all farm sales. It also ranks third for women farm operators for the percentage of farm operators. An estimated 4,400 farms, each about 100 acres in size, produce a variety of crops in the White Mountain State. Milk and greenhouse crops account for more than half of the state’s agricultural sales revenues. The state also grows hay and crops to feed cattle, sheep, hogs, and poultry. Maple syrup production is important as well, with New Hampshire producing four percent of the nation’s maple syrup. Apples, sweet corn, hay, and maple products are among New Hampshire's top five crops. The state sells more than $200 million worth of agricultural products. FairLifts arranges an array of aerial application solutions in New Hampshire, including crop surveys and dusting, mosquito and pest control, weed and brush control, and frost protection. A global network of operators ensures precise and complete coverage of vast agricultural areas with minimal environmental impact. The following are just a few of the services FairLifts provides in New Hampshire. FairLifts reserves aerial applications, such as crop dusting, topdressing, fertilizing, watering or hydroseeding in New Hampshire. 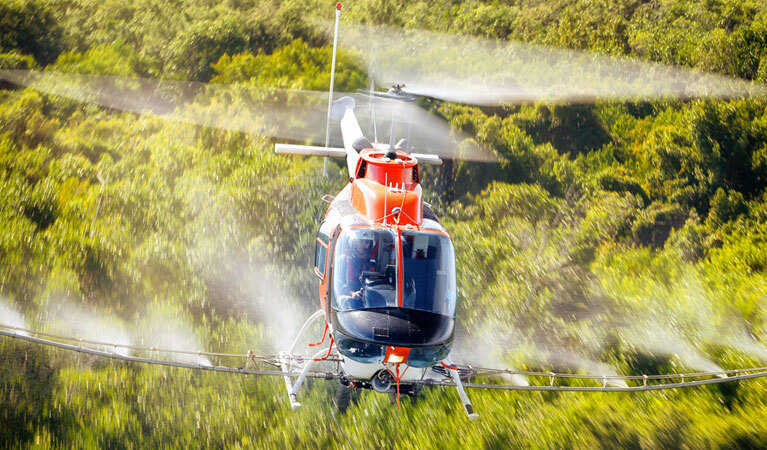 A global network of operators provides expert helicopter pilots trained to mix and spray fungicide and crop protection products, guaranteeing precise aerial applications of fertilizer and hydroseeding. Local vendors Fairlifts delivers access to for mosquito and pest control aerial applications, prevent loss of crops and revenue. 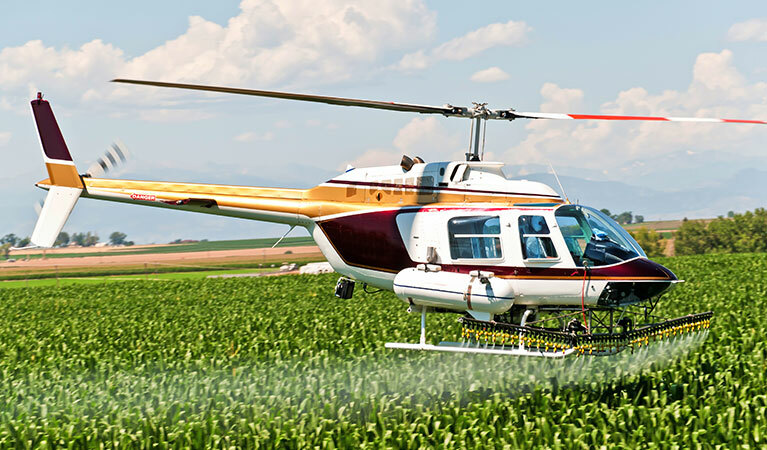 A global network of operators provides trained helicopter pilots experienced in limiting pesticide and spray drift, guaranteeing superior adulticide and larvicide applications for greater crop safety and quality. FairLifts organizes aerial applications of herbicides, delivering protection from noxious weeds and brush encroachments that can harm crop safety. A global network of operators provides skilled helicopter pilots that enable access to remote and rugged terrains that are unreachable by ground transportation to certify exact and comprehensive coverage. FairLifts can coordinate aerial applications for frost prevention and treatment solutions, securing year-round crop protection. A global network of operators provides proficient helicopter pilots that deliver periodic treatments of far-reaching agricultural areas, offsetting crop damage that may result from weather changes. Experts are standing by to get you a fast quote for your agricultural job in New Hampshire! FairLifts arranges advanced aerial application solutions for farmers and growers across New Hampshire. Our account managers are available 24/7 to help with forecasting and treatment options and to offer quotes and additional information concerning agricultural aerial application services in New Hampshire. Call today!